YOU ARE THE HERO - SO THINK OF US AS YOUR CREATIVE YODA HELPING YOU SHAPE, GROW AND MOVE YOUR BRANDING PROJECTS FORWARD WITH AN INGENIOUS GAME PLAN. We know that your unique and ground breaking product or service was created with untold hours of your commitment, passion and dedication to get it just right. But now you're at the stage where you want to present your world class idea to the world. You could do with some great branding, sound creative marketing ideas and collaborate with a great creative team that will help you every step of the way, to get your brand to market and get it to shine. Now we bet you're thinking where on earth do you start. Don't worry - we'll give your product or service the razzle-dazzle it deserves. So why not get in touch and let us show you how our collaborative hands-on approach, passion for fresh ideas and creativity can produce some great branding and engaging marketing ideas for brands or creative projects of all shapes and sizes. SIMPLY GET US ON BOARD WITH YOU, GET OUR COLLECTIVE CREATIVE JUICES GOING, HAVE SOME FUN AND EXPLORE AMAZING POSSIBILITIES. Our approach will help you focus and move forward in a concrete and pragmatic way by guiding you, your brand and your audience towards a more innovative, adaptive, creative, future thinking culture. At Brand Republica we believe that it’s important to get started, not plan endlessly. Our team is flexible and creative enough to slot into your current goals and innovation initiatives. Recommendations can be applied to make existing projects more effective and don’t require much setup to start practicing and realising results. Our approach to any creative project. Our fearless approach allows us to go beyond creative boundaries, by mixing objectivity with experience and curiosity with expertise to solve any piece of communication, design challenge or project brief. We are a global design, marketing and communications team specialising in branding and strategic thinking that offer creative communication solutions across the full spectrum of print media, graphic design, packaging, product development, new media, advertising and interior design. We pull together knowledge, inspiration and expertise from across the globe to build brands that thrive in the real world, using a balance of brand strategy, creativity and top end implementation. We're not simply graphic designers, or web developers, or brochure creators. We've worked very hard to earn the title of brand experts - meaning that we think like entrepreneurs with the added bonus of being able to create meaningful, powerful brands for our clients which evoke the right emotion that tie experiences and expectations to their brand to maximize their brands in the marketplace. So if you're asking yourself… “Well I'm just a small business? There’s no way I can compete with big corporations and their marketing budgets? My only choice is the one-size-fits-all logo shop online…” - Think again. We understand that not every marketer or small business owner has the time, skill set or deep passion to observe or study branding, let alone think of creative campaigns to launch them. This is where we come in. We'll get on board with you, specifically with small businesses, to provide you with original and engaging branding solutions, to build a personal client relationship that offers you feedback and delivers premium creative solutions at affordable prices. We are not exactly what you would expect from a traditional agency. We don’t like complexity, either in the work we produce, or in the way we work. We enjoy collaborating with like-minded clients and colleagues, because when we collaborate something incredible happens – we discover new paths to creative solutions and understand that in order to create game-changing work this is a road best travelled together. As much as we love to be in the spotlight we know we do our best work behind the scenes - analysing challenges, identifying ways to connect with an audience, moulding and shaping messages and producing powerful persuasive communications that change perceptions. Chris is described as relentlessly creative, strategic and an expert at solving problems that others wouldn’t even attempt! Chris began his career as a lecturer of architecture in Liverpool. As a co-founder and director of Brand Republica, Chris uses his architectural skills to help organisations to identify where, when and how they can provide better, more meaningful and valuable services. He remains a passionate believer in co-creation, design thinking and assisting organisations to help themselves through actively using design to build internal service capabilities to improve the brand experience. Chris has worked across all sectors, but has extensive experience in legal, automotive, construction, hospitality, retail and technology sectors. His main drivers are strategic thinking, creative minds, great design, professional acumen and international business. A multilingual proud Liverpudlian, Chris has been privileged enough to work and live in many places around the world. Chris is a future visionary, constantly looking at the past and the present to determine what will happen in the future. An inventor, always working on the next big thing ... but not pie in the sky. An entrepreneur and business navigator that is passionate about design for the future. His ultimate goal is to develop a robot that can print money, bath the dogs and make a full English breakfast. Terri is described as relentlessly energetic, creative, very well organised and always positive. 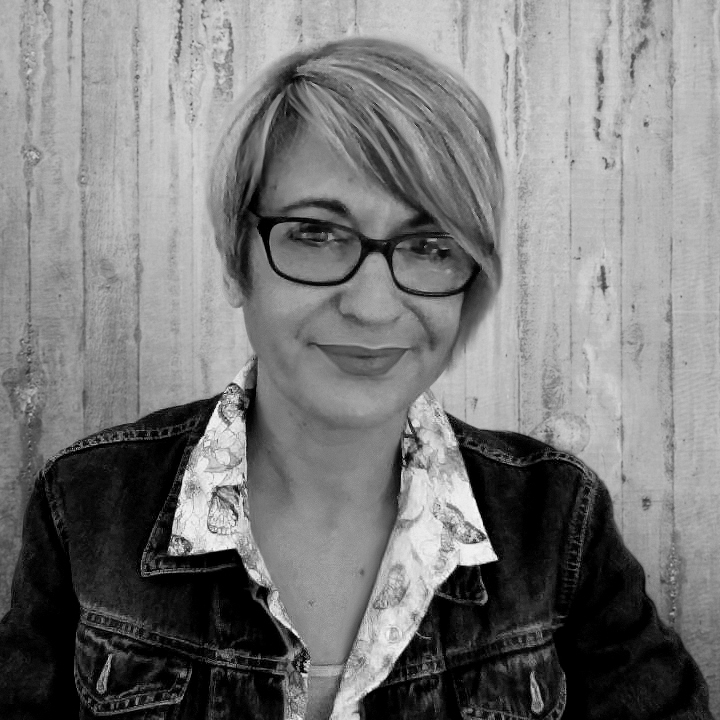 Terri has previously held senior positions in design and brand management within international bluechip advertising organisations, including running the design department at TBWA South Africa for 5 years. She's responsible for ensuring that Brand Republica delivers the best customer experience possible and understands what it takes to deliver this across the full range of brand development activities. Aside from winning numerous awards and accolades as a team player, Terri has also won numerous Loerie awards and D&AD pencils for her personal design work and was a judge of design communication for several years at the Loeries, South Africa. Terri’s main drivers are all things technology, good food, good design, travelling and a healthy obsession with beauty sleep. A multilingual proud South African (although her Portuguese parents would disagree), she speaks several languages ﬂuently and can decode Greek and Geek Speak! Our forward thinking approach is not only flexible and agile, but will help you focus so that you move forward in a concrete and pragmatic way. We are like a global rubber brand, small but flexible and agile enough to work with clients across every industry in any part of the world. We adapt quickly and effectively to any creative challenge and produce a wide range of linear and non-linear solutions, using strategic thinking, smile-in-the-mind communications and beautifully crafted executions. GET IN TOUCH NOW AND SAY HELLO!